On a lovely day ‘The Friends’ received a very warm welcome from the Members of White Hill Bowling Club, the Bowls England Club of the Year Runner-Up and holder of the D’Arcy Drayton Cup. Bacon butties were enjoyed at lunchtime where the Club’s Vice President John Foster was the chef. The match was played over 6 rinks with ‘The Friends’ winning by 12 shots (FoEB 118 – WHBC 106). Linda Newby, Di Thompson, Jenny Ralph and Peter Lee were the top rink. Everybody enjoyed the after match Fish and Chip supper after which ‘The Friends’ were thanked for a day of ‘Happy Memories’. Captain of the day Mike Poole thanked White Hall Bowls Club for its excellent hospitality, awarded both highest winning rinks with gifts and presented a framed Certificate to Pam Taylor, the Club’s President and proposed a toast to Pam and all of the Members of the Club. 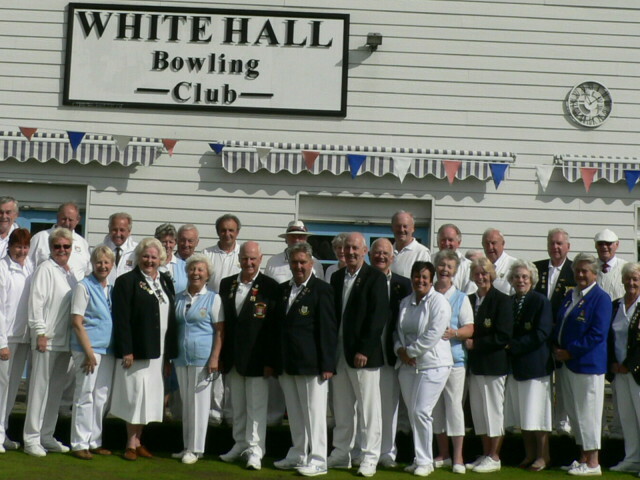 Thank you White Hall Bowing Club for a really special day.